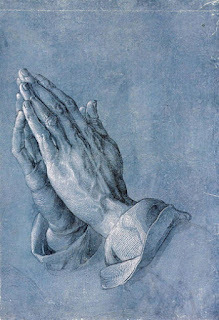 O God, who hast ordained that whatever is to be desired should be sought by labour, and who by they blessing bringest honest labour to good effect, look with mercy upon my studies and endeavours. Grant me, O Lord, to design only what is lawful and right; and afford me calmness of mind and steadiness of purpose, that I may so do thy will in this short life, as to obtain happiness in the world to come, for the sake of Jesus Christ, our Lord. Amen. Ahaziah had fallen through the lattice in his upper chamber in Samaria, and lay injured; so he sent messengers, telling them, "Go, inquire of Baal-zebub, the god of Ekron, whether I shall recover from this injury." But the angel of the LORD said to Elijah the Tishbite, "Get up, go to meet the messengers of the king of Samaria, and say to them, 'Is it because there is no God in Israel that you are going to inquire of Baal-zebub, the god of Ekron?' Now therefore thus says the LORD, 'You shall not leave the bed to which you have gone, but you shall surely die.'" So Elijah went. The messengers returned to the king, who said to them, "Why have you returned?" They answered him, "There came a man to meet us, who said to us, 'Go back to the king who sent you, and say to him: Thus says the LORD: Is it because there is no God in Israel that you are sending to inquire of Baal-zebub, the god of Ekron? Therefore you shall not leave the bed to which you have gone, but shall surely die.'" He said to them, "What sort of man was he who came to meet you and told you these things?" 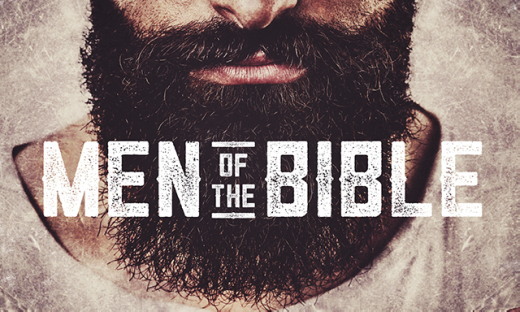 They answered him, "A hairy man, with a leather belt around his waist." He said, "It is Elijah the Tishbite." Then the king sent to him a captain of fifty with his fifty men. He went up to Elijah, who was sitting on the top of a hill, and said to him, "O man of God, the king says, 'Come down.'" But Elijah answered the captain of fifty, "If I am a man of God, let fire come down from heaven and consume you and your fifty." Then fire came down from heaven, and consumed him and his fifty. Again the king sent to him another captain of fifty with his fifty. He went up and said to him, "O man of God, this is the king's order: Come down quickly!" But Elijah answered them, "If I am a man of God, let fire come down from heaven and consume you and your fifty." Then the fire of God came down from heaven and consumed him and his fifty. Again the king sent the captain of a third fifty with his fifty. So the third captain of fifty went up, and came and fell on his knees before Elijah, and entreated him, "O man of God, please let my life, and the life of these fifty servants of yours, be precious in your sight. Look, fire came down from heaven and consumed the two former captains of fifty men with their fifties; but now let my life be precious in your sight." Then the angel of the LORD said to Elijah, "Go down with him; do not be afraid of him." So he set out and went down with him to the king, and said to him, "Thus says the LORD: Because you have sent messengers to inquire of Baal-zebub, the god of Ekron,-- is it because there is no God in Israel to inquire of his word?-- therefore you shall not leave the bed to which you have gone, but you shall surely die." So he died according to the word of the LORD that Elijah had spoken. His brother, Jehoram succeeded him as king in the second year of King Jehoram son of Jehoshaphat of Judah, because Ahaziah had no son. 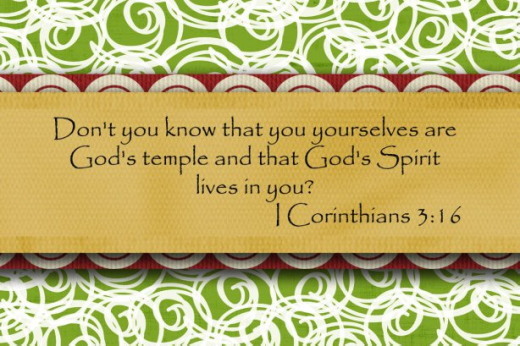 Do you not know that you are God's temple and that God's Spirit dwells in you? If anyone destroys God's temple, God will destroy that person. For God's temple is holy, and you are that temple. Do not deceive yourselves. If you think that you are wise in this age, you should become fools so that you may become wise. For the wisdom of this world is foolishness with God. For it is written, "He catches the wise in their craftiness," and again, "The Lord knows the thoughts of the wise, that they are futile." So let no one boast about human leaders. For all things are yours, whether Paul or Apollos or Cephas or the world or life or death or the present or the future-- all belong to you, and you belong to Christ, and Christ belongs to God. "Blessed are you when people revile you and persecute you and utter all kinds of evil against you falsely on my account. Rejoice and be glad, for your reward is great in heaven, for in the same way they persecuted the prophets who were before you. "You are the salt of the earth; but if salt has lost its taste, how can its saltiness be restored? It is no longer good for anything, but is thrown out and trampled under foot. "You are the light of the world. A city built on a hill cannot be hid. No one after lighting a lamp puts it under the bushel basket, but on the lampstand, and it gives light to all in the house. In the same way, let your light shine before others, so that they may see your good works and give glory to your Father in heaven. 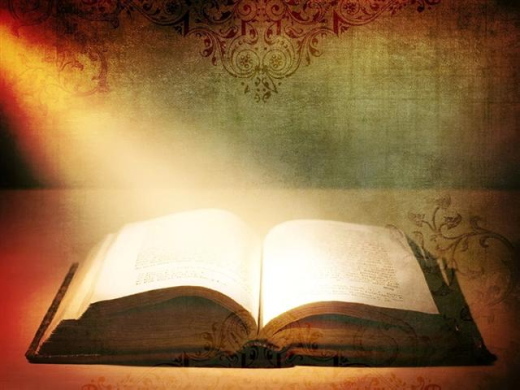 God, the Father of our Lord Jesus Christ, our only Savior, the Prince of Peace, I have tried to read your Bible and find your Word and your will for me, and to study it. But I think so many thoughts about it, and then I start to think I know something, and then I see another church or hear a pastor or read something, and I think, “that person is wrong”. Or the pastor of my church or a Bible teacher will tell me one thing, and then somebody else will tell me something completely different. And let me be part of the solution and not part of the problem, I pray. Let me put first your command, that we bear with one another in love, eager to maintain the unity of the Spirit in the bond of peace. Let me not be made angry or self-righteous by doctrine, but remember always who our true enemy is and direct my efforts to the defeat of atheism and the death that comes from living in the flesh. In the name of Christ, hear my prayer, Amen. God of love, Father of all, the darkness that covered the earth has given way to the bright dawn of your Word made flesh. Make me and all who confess your holy name people of this light. Make me faithful to your Word that I may bring your life to the waiting world. Grant this through Christ our Lord. Amen. And how shall they hear without a preacher? And how shall they preach unless they are sent? As it is written: "How beautiful are the feet of those who preach the gospel of peace, who bring glad tidings of good things!" From the original Greek, we could translate the final question in Romans 10:14 as, “How shall they hear without one preaching?” The Phillips translation puts it this way, “How can they hear unless someone proclaims Him?” Therefore, we see the emphasis is not on a preacher, but on preaching. This does not mean that we need to scream, yell, and wave a Bible to get the point across. What it does mean is that we are to recognize the primary way God has chosen to reach the lost is through the proclamation of the gospel–by people. God has chosen the agency of His proclaimed Word to bring people to salvation. God has chosen to reach the lost through the proclamation of the gospel by you and me! The disciples complained to the Lord Jesus that some other men who were not of their group were ministering in Jesus’ name. The disciples had forbidden them to continue, but Jesus rebuked them. The Lord had to deal with Peter very specifically through a vision and a dramatic experience before he could say, “I now realize how true it is that God does not show favoritism, but accepts men from every nation who fear Him and do what is right” (Acts 10: 34,35). A father was trying to take his Sunday afternoon nap but having little success because his young son kept waking him up with the complaint, "Daddy, I'm bored." The father knew he needed to come up with some kind of plan to keep the little boy occupied, or there would be no nap. He glanced at the newspaper lying on the coffee table and had what he thought was a brilliant plan to keep his son busy and give him more time to sleep. The father picked up the paper and pointed to a picture of the world on the front page. "This is a picture of the world, but it is also a puzzle," the father explained. He then ripped the picture into about fifty pieces, handed them to his young son and said, "I want you to put it all back together." He lay down to finish his nap, thinking he would get at least another hour of sleep. In about fifteen minutes, the little boy woke him up saying, "Daddy, I've got it finished. It's all put together." The father could not believe it. His son was too young to know much about geography. "How did you do that?" he asked in amazement. "Dad, there was a picture of a person on the back page of that newspaper, and when I got my person put together, the world looked fine." Pain can rip our lives apart. We frantically try to find some way to put it all back together, but the broken pieces don't seem to fit anymore. What then? Trust God. 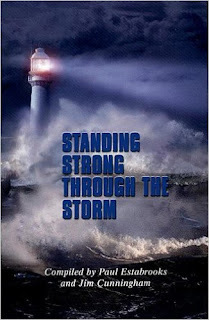 Like the children of Israel, just stick your toes in the water, and watch God part the raging sea before you. You may be desperately clinging to the broken and mismatched remnants of your life, wondering how you can go on. Whispers of the enemy creep into your heart, soul, and mind, taunting you with the lie that you are just too dirty and too broken for God to love or use. You might as well give up. No! That is a lie from the pit and smells like smoke! God is drawn to broken people, choosing the most broken to do His highest work. His light shines best through broken people. There are no accidents with God, nor is He surprised by anything or anyone in the life of His child. God uses even the most horrendous circumstances for our good. Every circumstance comes to us for a purpose, bound by God’s love and plan, and faithfully delivered with His permission. Only God can take the broken pieces of your life and make something beautiful out of each one. He is waiting for you to let go … and trust Him. And you really can trust God. Father, I choose to believe You are faithful and will do what You promise to do in Your Word. I believe that when I lay my pain and hurt at Your feet, You can and will transform it all into something beautiful. I choose to believe You will turn the broken places of my life into living illustrations of Your sufficiency and healing power. Read the following verse about the good that God can bring out of the difficult times in life. Record the verse in the journal. Then write it in your own words as it applies to your life. 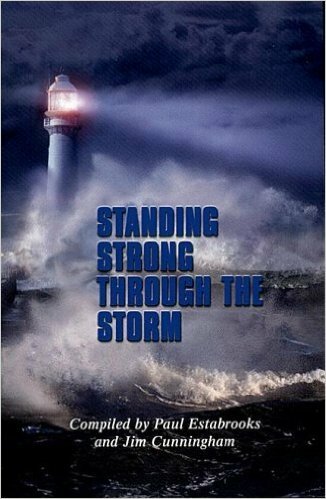 If you need help navigating the treacherous waters of the darkness, check out Mary’s book, Hope in the Midst of Depression. Check out the FREE MP3s on Mary’s website. And be sure to connect with Mary through email or on Facebook. 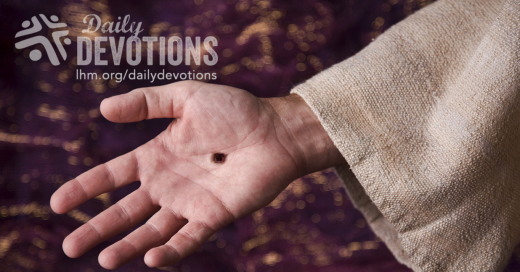 LHM Daily Devotion - September 22, 2017 "Was He Serious?" Now great crowds accompanied Him, and He turned and said to them, "If anyone comes to Me and does not hate his own father and mother and wife and children and brothers and sisters, yes, and even his own life, he cannot be My disciple. Whoever does not bear his own cross and come after Me cannot be My disciple." Over the years, I've heard a number of Christians say most sincerely, "Oh, if only I could have been there when the Savior walked the earth. I would love to have heard Him preach. I'd give just about anything to have seen some of His miracles. I would, I think, have stayed awake with Him as He prayed in the Garden of Gethsemane. I'm pretty sure I would have shouted for His release when He was unfairly tried. I certainly wouldn't have called out for Pontius Pilate to release the criminal Barabbas." I neither question nor disagree with the sincerity of those words; most of the time I agree. Still, there are times when I am glad I wasn't there. I'm glad I wasn't there because I don't know exactly what I would have done and how I would have reacted. I'm not entirely sure I would have always understood some of the things Jesus was saying and doing. Today it's fashionable to think of Jesus as being gentle, kind, mild-mannered, gracious, and loving. Too often we forget that Jesus had another side, a deeper side, a side that is sometimes difficult for many of His followers to understand. For example, listen carefully to what Jesus said, "If anyone comes to Me and does not hate his father and mother, his wife and children, his brothers and sisters, yes, even his own life, he cannot be My disciple. And anyone who does not carry his cross and follow Me cannot be My disciple." Did you hear that? Those words don't sound like something that would come out of the mouth of the Prince of Peace, the Christ who told us to love our enemies. I know many Christians who try to minimize those words, try to change them, even ignore them. They say, "Oh, Jesus really didn't mean what He said. Not really. Jesus just wanted the folks in the crowd to know that following Him wasn't something to be taken lightly." Me, I think Jesus was serious. The disciples thought He was serious. They left their boats, their places of business, their families, and they followed Him. Two-thousand years of martyrs have thought Jesus was serious. History has two millennia filled with Christians who were exiled from community, family, and friends because they loved the Christ. Are we really ready to tell them that Jesus was just joking? Jesus knew what He was saying. Jesus meant what He was saying. He meant every word that He said to the crowd that day. He meant it every bit as much as the Heavenly Father meant it when He said, "You shall have no other gods before Me" (Exodus 20:3). It's a question of priorities and our faith-motivated willingness to follow the Savior who gave up His throne in heaven and His life here on earth -- so we might be forgiven and saved. THE PRAYER: Dear Lord, grant that my love for You may reflect the love and commitment the Savior has shown for me in His sacrifice which saves. In Jesus' Name. Amen. Y seré un Padre para ustedes, y ustedes serán mis hijos y mis hijas. Lo ha dicho el Señor Todopoderoso. El padre puede ser una tremenda bendición en la vida. A través de estudios se ha llegado a la conclusión que la presencia o ausencia del padre en la vida de un niño es el factor que más ayuda a predecir si va a terminar la escuela secundaria, si va a ir a la universidad, si se va a involucrar en crímenes o uso de drogas o, en el caso de una niña, si va a quedar embarazada antes de los 18 años. El padre también puede ser una tremenda bendición en la vida espiritual. Cuando el padre es el primero en profesar su fe en Jesucristo, su familia le sigue en un 93% de los casos. No es de extrañar, entonces, que Dios quiera relacionarse con nosotros como Padre. Dios se identifica a sí mismo como "Padre" para que podamos comprender cuánto nos ama. Él nunca va a ser como un padre humano, que son imperfectos, porque él es perfecto y santo. Y como tal, hace por sus hijos lo que un Padre perfecto y santo debe hacer: los ama, los protege, los escucha, los consuela, los dirige, los sirve, los ayuda y los rescata. El mayor acto de amor de Dios fue enviar a su hijo Jesucristo a morir en una cruz para pagar por los pecados de todas las personas. Todo aquél que profesa su fe en él lo recibe como su Señor y Salvador y se convierte en hijo de Dios - y Dios se convierte en su Padre. Un padre no es padre simplemente porque haya generado biológicamente un hijo. Lo que lo convierte en padre es lo que hace por ese hijo. Dios se comporta como nuestro Padre, amándonos a través de su hijo Jesucristo, y nos trata siempre como sus hijos. Él es el modelo perfecto a seguir. ORACIÓN: Querido Dios, al entregar a tu hijo Jesucristo para que muriera por nosotros demostraste que nos amas como Padre, y al darnos el regalo de la fe nos convertiste en tus hijos. Te damos gracias por tener compasión de nosotros, y te pedimos que tu bendición nunca nos abandone. En el nombre de tu Hijo. Amén. Biografía del autor: Kevin Wendt se graduó del Seminario Concordia de Fort Wayne, Indiana, en 1993, y actualmente está sirviendo en la congregación Grace en Destin, Florida. Previamente sirvió congregaciones en Ft. Wayne, Indiana; Rochester, Minnesota; Macomb, Michigan, y St. Louis, Missouri. Junto con su esposa Jennifer tienen tres hijos: Amanda, Andrew, y Aaron. 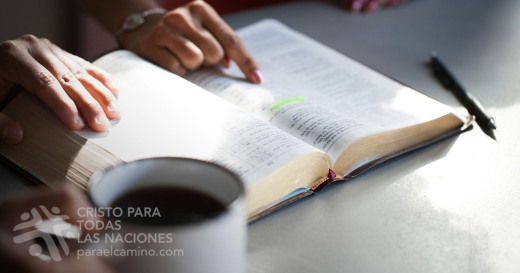 © Copyright 2017 Cristo Para Todas Las Naciones.¡Utilice estas devociones en sus boletines! Usado con permiso. Todos los derechos reservados por la Int'l LLL.